That is just nonsensical! 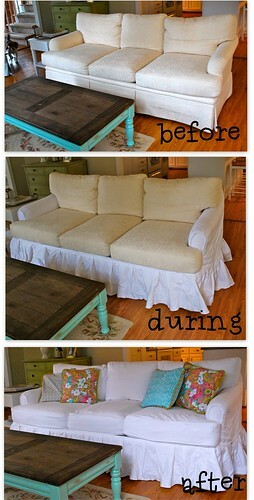 You have heard me say..and are probably bored of it by now…but in case you didn’t know…I LOVE SLIPCOVERS! Especially WHITE Slipcovers! Are you wanting to make your own slipcovers? Are you hosting Thanksgiving or Christmas this year…A Birthday or New Year’s? You can bust out a slipcover and make new clothes for your old furniture…with The Lazy Girl’s Guide to Custom Slipcovers! I’m offering a 20% discount for today only! Click on the button below and enter the discount code. And please send me pics of your finished slipcover! I would love to see it and share it! I would love to purchase this. I tried to use the coupon and it says that it is expired, please let me know what to do to receive the discount. ok, the discount code is back up and running. sorry about that. I'm pretty excited to get your ebook at a discount 🙂 We're getting ready to head back to Argentina and one of the things on my “to do” list is make a slipcover for our couch. I already have the material, and I've had some experience making zippered cushion covers so I'm feeling (somewhat) confident. With your ebook, it should be a breeze!